Arlington, VA (August 18, 2016): The Truck Safety Coalition, a partnership between Citizens for Reliable and Safe Highways (CRASH) and Parents Against Tired Truckers (PATT), is pleased that the National Highway Traffic Safety Administration’s (NHTSA) promulgated a Proposed Rule requiring speed limiters to be set on large trucks. This standard equipment, which is built into the truck’s engine control module, has actually been manufactured in large trucks since the early 1990s. While requiring speed limiters will advance truck safety and prevent needless truck crash injuries and fatalities, if the agency decides to only apply the rule to new trucks, it will greatly blunt the potential safety benefits. The final public listening session in Los Angeles, Calif, on the proposed guidelines for obstructive sleep apnea focused on the benefits for the commercial transportation industry as well as the impact on employee healthcare costs. The Federal Motor Carrier Safety Administration (FMCSA) and the Federal Railroad Administration (FRA) held the final of three public listening sessions in Los Angeles, Calif, on May 25, 2016 at the Westin Bonaventure Hotel and Suites. According to the FMCSA, the listening sessions were intended to solicit information from the public on the prevalence of moderate-to-severe obstructive sleep apnea (OSA) among individuals occupying safety sensitive positions in highway and rail transportation, its potential consequences for safety, and the potential costs and benefits of possible regulatory actions. The listening session in Los Angeles provided interested parties the opportunity to share their views on this topic along with any relevant studies and data. The Los Angeles session included a panel of members from both the FMCSA and FRA to represent each organization and interact with attendees. The panel included: Mark A. Patterson, executive officer for safety operations for the FRA; Shannon L. Watson, senior advisor, policy and program development, FMCSA; Matthew L. Navarrete, trial attorney for the FRA; Larry W. Minor, associate administrator, office of policy, for the FMCSA; BJ Arseneau, DO, chief medical officer for the FRA; and Gina Pervall, MD, chairman of the medical review board for the FMCSA. Only a few members of the public attended the Los Angeles session in person. Three attendees total made public comments (two commented in the morning session, and one commented during the afternoon session). The event was live broadcast online, and the public could also comment online during the event. Both the morning and afternoon sessions ended early because all attendees who wished to publicly comment were finished speaking. The first of the three attendees who addressed the panel was Kevin Walgenbach, vice president of compliance & regulatory affairs for the National Ready Mixed Concrete Association (NRMCA). Walgenbach, who says the NRMCA represents more than 2,000 companies and 125,000 employees, said he believes the current regulatory framework is sufficient and he is opposed to a one-size-fits-all approach to OSA testing and screening because of the drivers’ unique needs. Walgenbach also said the proposed rules may impact the ability to recruit new drivers. Also, in his estimation, the 2012 enforced recommendations caused a number of issues in the commercial trucking industry, such as unnecessary costs and false diagnoses, and he supports a comprehensive pilot study before the rules are finalized. “The National Ready Mixed Concrete Association at this time is opposed to any new regulation mandating sleep apnea screenings. The current regulatory framework already exists to address sleep disorders among commercial motor vehicle drivers. A more pointed examination of certified medical examiners and their practices related sleep disorder determinations for drivers may yield better results aimed at increased safety on our nation’s roads,” said Walgenbach. “With this fishing expedition on sleep apnea it is clear that the agencies have not taken seriously concerns relating to limited medical coverage for sleep apnea or currently unemployed drivers looking to enter the workforce.” Walgenbach said until these issues are examined, any new rulemaking, in addition to the current regulatory framework, would be improper. Tami Friedrich Trakh, a board member for Citizens for Reliable and Safe Highways and a member of the FMCSA Motor Carrier Safety Advisory Committee, was the second speaker in the morning session and is a proponent of the suggested guidelines. In a statement to the panel, Trakh said she is surprised that there is strong resistance to OSA screening and treatment in the commercial transportation industry, adding that fatigue has been recognized as a major safety issue for more than 70 years. Trakh said OSA does have an effect on traffic accidents and ardently said that more must be done to prevent fatigued driving. Trakh said she looks forward to seeing a final rule that would require commercial motor vehicle drivers to be screened, tested, and treated for OSA. In the afternoon session of the Los Angeles meeting, Dana Voien, president and CEO of SleepSafe Drivers, a provider of programs for sleep apnea and fatigue management to fleets and high-risk occupations, addressed the panel as a proponent of the proposed guidelines. Voien said the screening and treatment of OSA has benefits for the commercial transportation industry and having a uniform rule will help fleets as well as individuals drivers. Voien highlighted the importance of showing drivers in this industry that the proposed rules for screening and treatment will be a benefit and not an imposition, and studies have shown that the guidelines can protect drivers’ health and keep them on the job. According to Voien, testing and treatment done through Fatigue Management Programs (FMP) tailored for trucking and rail workers are documented to help drivers get tested and treated in 1 to 3 days, reduce accident rates, and deliver 96% to 98% treatment success. Voien said testing and treating through a comprehensive FMP should include a variety of components, including education, both in-lab polysomnography and home sleep tests as available options, and ongoing PAP compliance monitoring and support. “Drivers and rail workers must be assured they will be supported throughout the process, and over time through the FMP program. Bottom line, ‘We care about your health and safety,’” said Voien. Though the in-person listening sessions are now over, the public still has until June 8 to comment on the proposed regulation online. The House Committee on Appropriations today passed the Fiscal Year 2017 Transportation, Housing and Urban Development (THUD) Appropriations bill, which included Section 132 – the tired trucker provision. We are disappointed that a majority of the committee opposed an amendment offered Congressman David Price (D-NC) to remove this and other anti-safety riders from the bill. “Ultimately, the rejection of the Price amendment has created a tradition that adversely affects policy as well as process. Nevertheless, the Truck Safety Coalition will continue to educate the public and lawmakers about policies and regulations that will reduce the number of large truck crashes and the resulting injuries and fatalities.” Tierney concluded. The Truck Safety Coalition is a partnership between Citizens for Reliable and Safe Highways (CRASH) and Parents Against Tired Truckers (PATT). The Truck Safety Coalition is dedicated to reducing the number of deaths and injuries caused by truck-related crashes, providing compassionate support to truck crash survivors and families of truck crash victims, and educating the public policy-makers and media about truck safety issues. The May 11 column “Maine Voices: Common-sense restrictions on truck drivers’ hours must be preserved” makes inaccurate statements about anti-truck safety provisions championed by Sen. Susan Collins, R-Maine. There are about 500 truck crashes annually in Maine. Many crashes result in deaths and injuries, and the victims are usually Maine families. Despite the carnage, Sen. Collins continues to be the star quarterback for special trucking interests seeking to repeal safety regulations that protect the lives of truck drivers and Maine families. National news stories have documented her legacy working on behalf of corporate trucking interests and, in turn, their generous largesse for her support. Unfortunately, the annual government spending bill has become her private domain for pushing anti-truck safety measures. When trucking interests sought to significantly increase truck weights in Maine, Sen. Collins was ready to help. Last year, FedEx and others recognized a willing partner in Sen. Collins when they sought to overturn laws in 39 states, including Maine, and allow monster-sized trucks across the country. And, for the third consecutive year, as a senior Appropriations Committee member, she slipped a provision into the bill to repeal the reasonable federal limits on the driving and working hours of truckers, although fatigue is a major cause of truck crashes. However, this time she went even further and wrote into law an increase in the driving hours of truckers from 60 to 73 in a week. This is insane, but she has the temerity to actually claim it will be safer. This proposal had no congressional hearing, no scientific review and no public input. But it’s no problem if you are a well-connected trucking lobbyist. Truck crashes kill 4,000 people and injure 100,000 more annually. Sen. Collins’ solution is to help corporate trucking interests protect their profits, but not public safety. Monroe County residents have witnessed some spectacularly devastating truck accidents over the years. They should beware measures under consideration in Congress this week that would raise truckers’ allowable working and driving hours, risking even more crashes that would imperil drivers themselves and the motoring public. Congress is doing this virtually without public scrutiny — without hearings and under pressure from the trucking industry — by including these unsafe proposals in fiscal year 2017 appropriations bills. Elected officials in both the Senate and the House don’t want to get in the way of their precious federal funds. But human life is precious, too. Senate and House committees are considering raising truckers’ allowable hours from the 60 currently permitted to 73 driving hours per week, plus 10 non-driving hours — loading, unloading, for example. Truckers could take as little as a mere day plus 10 hours, just 34 hours total, time off before they could begin their “work week” all over again. This is more than risky, it’s dangerous. Public safety should never be compromised for the sake of trucking companies’ bottom line. Drivers themselves oppose these changes. The Teamsters, citizens’ groups, law enforcement agencies, federal and state safety officials and even some trucking companies argue, sensibly, against expanding work hours beyond the cap the Obama administration instituted in 2013. 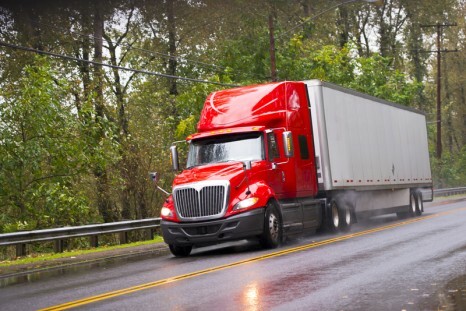 The National Transportation Safety Board lists reducing fatigue-related crashes as among its top priorities this year, noting that truck crashes result in 4,000 deaths and 100,000 injuries every year. Driver fatigue is a frequent factor. The NHTSA’s National Automotive Sambling System Crashworthiness Data System crunched data and estimated that 16;5 percent of fatal crashes involved drowsy driving. Anyone who uses Interstate 80, I-380 or four-lane Route 33/209 is aware of the truck-related carnage that should be everyone’s mission to reduce. Pennsylvania Congressman Shuster, R-9, chairs the House transportation and infrastructure committee. He should vigorously oppose these changes, which industry lobbyists succeeded in getting legislators to slip into the appropriations bills specifically to avoid the public hearings that would be necessary at the committee level. Call Shuster in Washington at 202-225-2431. Ask him which is more important: trucking company profits, or people’s lives? WASHINGTON — Truck driver Dana Logan tried on Wednesday to recount a crash that decapitated two fathers and two children, hoping to convince Congress to stop weakening rules that require truckers to get rest. She couldn’t do it. A dozen years after the fatigued driver of another truck fell asleep and drove into an SUV stuck in traffic behind her rig on a Texas highway, Logan was still too devastated to finish talking about it. She drives trucks with her husband, Tim, as a team. That June day in 2004 near Sulphur Springs, the other driver fell asleep and rammed the SUV, pushing it under the carriage of Logan’s trailer, shearing off the top half of the vehicle with its four helpless passengers inside. Logan got as far as recalling how her husband rushed to help the other trucker. “When Tim tried the get the injured driver out of the truck, he [the other driver] asked him, ‘Did I hit something?’ Those were his last words before he died,” Logan told reporters in a conference call aimed at legislation moving in Congress this week. Sobbing, Logan had to stop. She asked her husband to finish. What the Logans and other safety advocates are worried about are measures that would allow truck drivers to work more than 80 hours a week, tacked onto to separate appropriations bills in the House and the Senate. In the Senate, a measure that allows 73 hours of driving and an additional 8.5 hours on related work each week was added to a massive spending measure that will fund transportation, housing and military construction projects, as well as the Veterans Administration. Funding for Zika prevention has also been added to that bill, making it very likely to pass. In the House, measures were added to the transportation and housing appropriations bill under consideration in the committee that set similar rest rules, reverting to regulations originally set in the Bush administration that were repeatedly challenged and thrown out in lawsuits. Both bills would prevent the Obama administration from enforcing a regulation that briefly went into effect in 2013 that effectively capped truck drivers’ working hours at 70 a week, and ensured they could have two nights off in a row. That rule was blocked by a rider in a 2014 spending bill, which had to pass to avert a government shutdown. The new inserted policy provisions represent a trend over the last three years of trucking industry interests using must-pass spending bills to win regulatory concessions that are opposed by most safety advocates and likely could not pass as normal stand-alone bills. In this case, not only do the bills fund major parts of the government, they provide cash to fight Zika. “There’s not been any congressional hearings on any of these proposals,” said Jackie Gillian, the president of Advocates for Highway and Auto Safety. “The trucking industry doesn’t want to have hearings, they don’t want to hear from truck drivers like Dana Logan. They don’t want to hear from victims. “They know that if they do have testimony and they have the experts up there, the people affected, that they would see how illogical and insane these proposals are,” Gillian said. Those trucking interests see the complaints of safety advocates as illogical. On the rest requirements, known as hours-of-service rules, the industry believes advocates are inventing problems. “There’s this claim by these anti-truck groups that drivers are abusing it. There’s no data showing that,” said Dave Osieki, who is in charge of public advocacy at the American Trucking Associations. Osieki argued that it’s nearly impossible for drivers to string together their hours to hit the 80-plus hour maximums that are theoretically allowed under the rules that the trucking provisions in both spending bills would preserve. “We just don’t see a need for it,” he said of the tougher Obama administration standard with two nights off. Osieki added that he’s seen no evidence that hours of service rules improve safety. “Show me a link between compliance or noncompliance of the hours of service rules, and there is none,” he said. Nevertheless, police who enforce the highway safety laws do see a connection. One is Illinois Trooper Douglas Balder. Balder was nearly burned alive when a truck driver completely ignored the rules, and drove into the back of Balder’s patrol car. Balder, also a military veteran, spent months in rehab to get back on the beat. He doesn’t want Congress rolling back safety rules, and joined Wednesday’s conference call to say so. The White House has threatened to veto the Senate spending bill, in part because of the rest rule rollback. But the prospect of a veto is less likely with the Zika measure attached. Three senators, Richard Blumenthal (D-Conn.), Cory Booker (D-N.J.) and Ed Markey (D-Mass.) hoped to offer an amendment in debate Thursday to restore the Obama rest regulations. It was unclear if they would get the chance amid all the back-and-forth around Zika and other pressing matters surrounding the larger legislation. Democrats tried to remove Zika funding from the bill on Wednesday, but were blocked. Arlington, VA (May 5, 2014): On behalf of the Truck Safety Coalition (TSC), Parents Against Tired Truckers (PATT), Citizens for Reliable and Safe Highways (CRASH) and our volunteers, we were deeply saddened by the passing of former Chairman of the House Committee on Transportation and Infrastructure, James L. Oberstar (MN-8), and would like to express our sincere condolences to his family, friends, and to the citizens of Minnesota. Chairman Oberstar received the Truck Safety Coalition Distinguished Service Award in 2011 for his tremendous commitment to advancing truck safety policy and for being a true champion for truck crash victims and survivors. David and Mary Mathis were killed on the way back from their honeymoon, on March 25, 2004, after their car was hit from behind by a semi-truck, causing a chain reaction with another truck on I-95 near Titusville. David Mathis was a jokester with a mischievous smile, an intern with a local law firm and a man married just five days when a truck rolled over his 1993 Acura, killing him and his bride, Mary Kathryn Forbes. Both 23, they had graduated from the University of North Carolina at Chapel Hill and had just bought a house in Royal St. Augustine, said Jane Mathis of St. Augustine, David’s mother. It was that March, 2004, crash on Interstate 95, caused when a semi-trailer truck driver who fell asleep behind the wheel, that prompted Mathis to fight for legislative changes. Most recently, she traveled to the U.S. Capitol to lobby against a House bill that would have allowed trucks to get bigger and heavier and, to Mathis and other safety advocates, that much more dangerous. The committee Friday morning amended the bill in what a representative for U.S. Rep. John Mica, R-Fla., chairman of the House Transportation committee, called an “intense markup session” that lasted until 3:30 a.m.
Now the 700-page omnibus bill, called the American Energy and Infrastructure Jobs Act, no longer would allow states to increase the weight cap. Mica said the language disappeared mostly due to rail interests, not safety advocates. “The freight train operators, if you have heavier weights, they don’t get the business to go on rail,” Mica said. The amendment also calls for a study to examine how the increased caps would impact safety and infrastructure. But Mathis still worries that the bill could change again, especially since it is very different from the Senate version, Moving Ahead for Progress in the 21st Century, MAP21 for short. The House is to vote on the bill during the week of Feb. 13, said Justin Harclerode, a spokesman for Mica. It took Mathis a couple of years to heal before she began looking for ways to make a difference. Then, a friend suggested she join PATT, Parents Against Tired Trucking. Now, she is a board member of the national Parents Against Tired Trucking and a part of the Truck Safety Coalition. “It’s a club nobody wants to belong to,” she said. In the past, she has lobbied for an increase in fines for those driving rigs overweight by 10,000 or more pounds and for those falsifying the paper log books that truckers must keep to show they are not driving more hours per day than allowed. The fines haven’t increased since 1953, “When Eisenhower was in office,” she said. But still, she keeps trying because David Mathis is always on her mind. “I miss him every hour of every day,” she said. And she likes to remember a particular sermon he gave to the youth at church. “He was talking about how you should do things to show you have joie de vivre,” Mathis said. “So he crowed like a chicken in the pulpit, and there was a giant burst of laughter,” she said. The eerie thing for Mathis is that her son, a youth pastor at Memorial Presbyterian Church, came straight from senior prom night to give the sermon in the morning. It was called “Forever Young,” she said with a shiver. The newly amended version of the U.S. House Bill called the American Energy and Infrastructure Jobs Act would have increased the truck weight cap from 80,000 to 97,000 pounds. And he said there are safety arguments on both sides of the debate, because an Interstate ban on larger trucks in some states would have those trucks driving on local roads instead. “And some folks would say it’s safer to have that kind of traffic on an interstate,” he said. Now the bill requires a three-year study to assess what the impact of those changes would be to safety and infrastructure. The study plus an anticipated lag before Congress votes on a final version reassure local truck safety advocate Jane Mathis.